Introduction. Attractive Mining. The Design Process. Designing for Safety. Health and Safety in Mining. Mechanisation and Automation. Work Organisation. A Vision of the Future. Joel Lööw is a Ph.D.-student in Human Work Science at Luleå University of Technology. He has a MSc. in Industrial Design Engineering with a specialization in Production Design from the same university. His research interests are centered on work environmental issues in the mining industry. He is especially interested in the interplay between human, technology and organization. 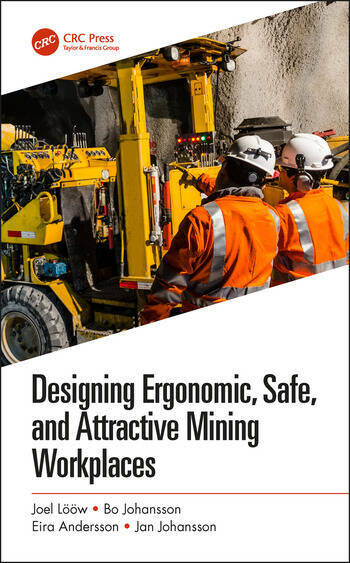 He has experience from the European Union project Innovative Technologies and Concepts for the Intelligent Deep Mine of the Future (I2Mine) and is currently involved in a mine accident prevention research project. In addition to this, he teaches a course on workplace analysis for MSc. 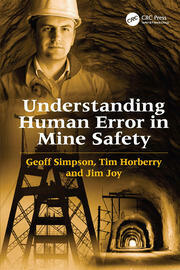 engineering students and have previously taught mining engineering student on the subject of health and safety. 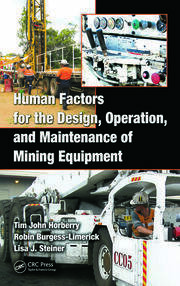 Lööw has several publications on the subject of mining and human, technology and organization. Bo Johansson is an Assistant Professor in Human Work Science at the Department of Business Administration, Technology and Social Sciences. Sweden. His research is mainly in the field of work environment management, work environment and industrial production development in mining and manufacturing business. He has an MSc in Mining Engineering and a PhD in Human Work Sciences. He has previously worked as a Mining Engineer and Head of a Mine Planning Division at Boliden Minerals. At Luleå University of Technology he has been Director of studies and Programme coordinator. In 2007, he was awarded the Levi prize (a national work environment prize) by The Swedish Association of Graduate Engineers. Eira Andersson is Associate Senior Lecture in Industrial Work Environment, Department of Business Administration, Technology and Social Sciences, at Luleå University of Technology in Sweden. 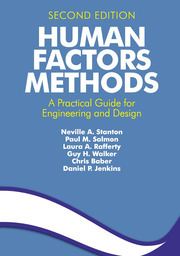 She has a MSc in Ergonomic Design and Production Engineering and a PhD in Human Work Science. Her research focuses on industrial relations, occupational health and safety, technology and gender issues in mining production. She has been engaged in several interactive R&D projects together with the Swedish mining industry as well as transnational collaborations; all aiming for attractive, safe and gender equal work places in mining. In 2013 the Geological Survey of Sweden (SGU) awarded her for significant research contribution to the mining industry, characterized by innovation, sustainability and societal benefits. Jan Johansson is Professor in Industrial Work Environment since 1994. He has a MSc. in Industrial Management and Engineering from Linköping University of Technology from 1975 and a Ph.D. in Human Work Sciences at Luleå University of Technology since 1986. In 1999 Johansson was appointed as Honorary Visiting Professor at the School of Industrial Relations and Organisational Behaviour, University of New South Wales, Sydney, Australia. Johansson has been a member or the Swedish Research Council (2001-2003) and the Swedish Research Councils Ethical Committee. He has also been Deputy Dean at Faculty of Technology and until recently he has been Head of department for Business Administration, Technology and Social Sciences. Johansson’s main research interest is work organisation and attractive work places. Johansson has more then 200 publications.